Robert Lee Randolph and Maria Lebron. Sonoma County sheriff's investigators said they have identified two suspects in a double homicide earlier this month south of Sebastopol. One person was killed, and two others wounded the night of Oct. 15 in the 5000 block of state Highway 116. One of the two injured later died at a hospital. The third person is still in the hospital recovering, sheriff's officials said. 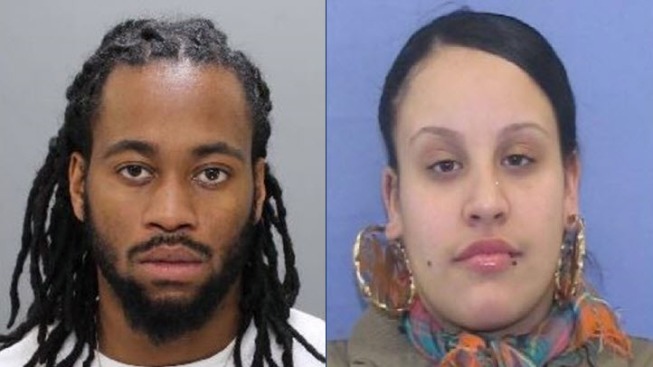 Investigators have identified the suspects as 30-year-old Robert Lee Randolph and 28-year-old Maria Teresa Lebron, both of Philadelphia. Randolph and Lebron are considered armed and dangerous and believed to be on the run, according to sheriff's officials. No bail warrants have been issued for both suspects. Sheriff's officials said both know they are wanted. Investigators are describing Randolph as a black man, 5 feet, 8 inches tall and 160 pounds. Investigators are describing Lebron as a Hispanic woman, 5 feet, 3 inches tall and 140 pounds. Sheriff's officials believe the two are currently in either Philadelphia or New Jersey. Investigators allege that Randolph and Lebron flew from Philadelphia to San Francisco on Oct. 13. The pair allegedly rented a Hyundai Sonata and arranged for a large marijuana sale on Oct. 15 with John Mariana at the home of Nathan Proto. Proto, Mariana and a third victim were allegedly shot by Randolph during the sale. Proto died at the scene. Mariana, also from Philadelphia, died Oct. 18 at a hospital, according to sheriff's officials. Investigators allege that Randolph and Lebron took cash and the marijuana from Proto's home and left in the Hyundai. The suspects are thought to have taken the marijuana and cash to another place to transport it at a later date to Philadelphia, sheriff's officials said. Randolph and Lebron allegedly flew back to Philadelphia from San Francisco on Oct. 17. Anyone with information about Randolph or Lebron or anyone who has been in touch with them is urged to call Detective Jeff Toney at (707) 565-2650. Anyone who knows of the suspects' whereabouts is urged to call 911. The suspects have allegedly made several trips to the Bay Area in the last few months.